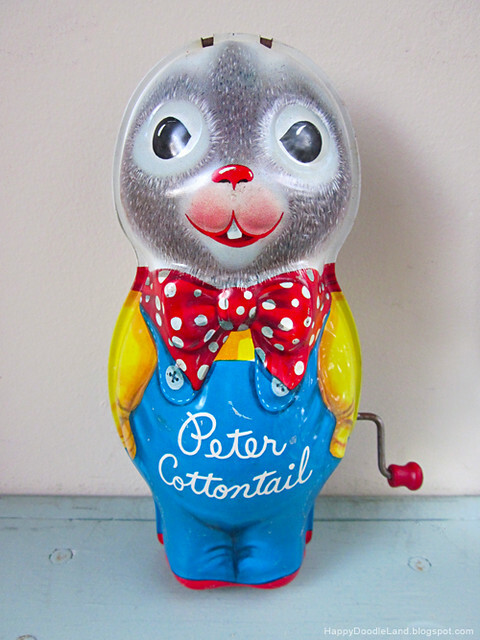 Went to our local antique mall today (one of my favorite activity) and brought home this adorable vintage Peter Cottontail wind-up toy. His ears are missing but that doesn't bothers me at all (He looks like a seal without the ears, so funny! 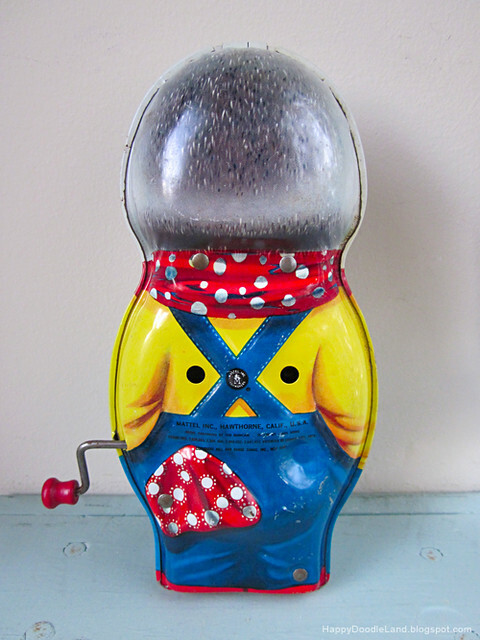 I'm planning to find a little hat for him to cover up the holes.) The wind-up part works, too, click the movie to hear it.